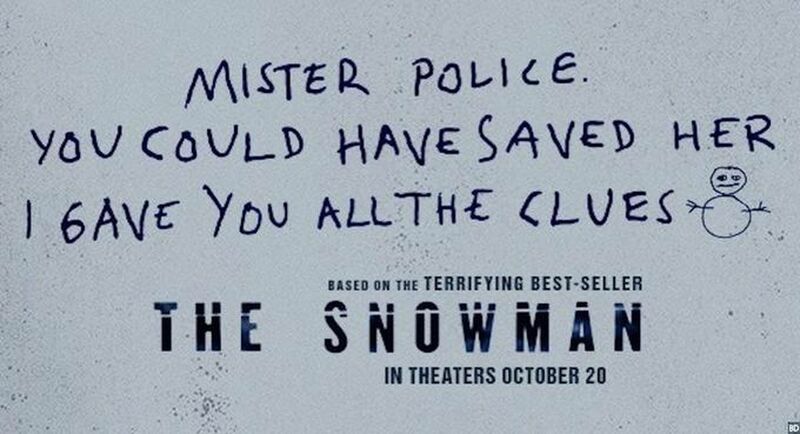 All you may need to know about The Snowman is that its main character is an alcoholic police detective named Inspector Harry Hole, and it is not a comedy. Hole is the protagonist of Jo Nesbø’s series of crime novels, the seventh installment of which forms the basis of The Snowman. Directed by Tomas Alfredson (Let the Right One In, Tinker Tailor Soldier Spy), it is the most transcendently awful movie I expect to see in 2017, and this is the year I saw The Emoji Movie. Set in an eternally snow-blown Norway, but with an entirely English-speaking cast doing an assortment of accents, The Snowman resembles nothing more than a full-length parody of an awards-bait movie produced for yuks by Saturday Night Live. That feels like the only explanation for the profound mystery surrounding The Snowman: how a cast practically toppling over with talent ended up in such a ridiculous movie. Perhaps more properly titled The Snowmen (there are lots), the movie leans hard on its snowy scenery, shot in a weirdly blue-lit manner, to sell a feeling of bleakness and despair. Which is exactly what viewers will feel upon leaving. Now, in the fullness of time, the promises have been fulfilled. Or have they? The Snowman is a curious film: The marketing evokes a kind of whodunnit with clues to solve the case — but there are no clues. And at no point does it seems reasonable to assume that Mister Police could have saved anyone. Our hero is the aforementioned Hole (whose name is uttered, in several different permutations — Harry Hole, Inspector Hole, Mister Hole — entirely free from the leaden bounds of irony), played by Michael Fassbender. Hole is a detective in the classic depressed and messed-up mold, a lawman whose soul has plunged into eternal icy blackness from so much staring down the dark human condition. Even though Hole seems to disappear on long benders, his reputation precedes him down at the Oslo police department, where his new partner Katrine Bratt (Rebecca Ferguson) has studied his earlier cases and is working on a new one that leads them to reopen (or at least reexamine) a cold case involving a woman’s body that was found partly dismembered and carefully arranged in, what else, the snow, years earlier. In the present, a bunch of stuff is happening too. 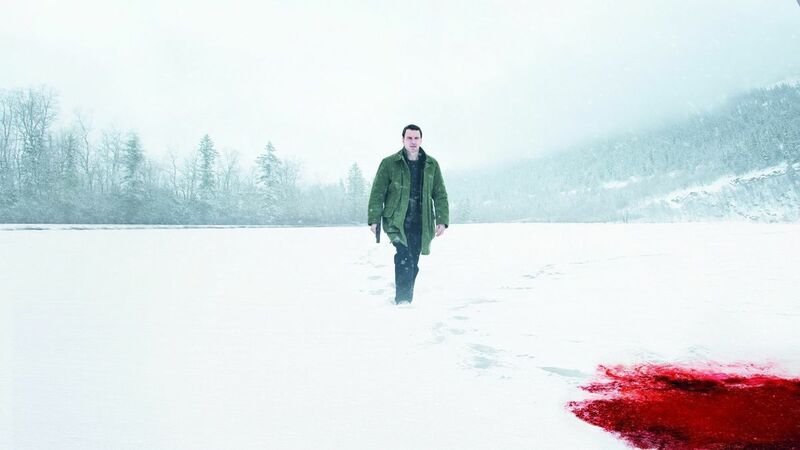 People are disappearing while snowmen appear, including a woman (Chloë Sevigny) who is last seen beheading chickens before she is brutally murdered; afterward, her sister (also Chloë Sevigny) tries to help the police solve the case and ends up giving them more clues. 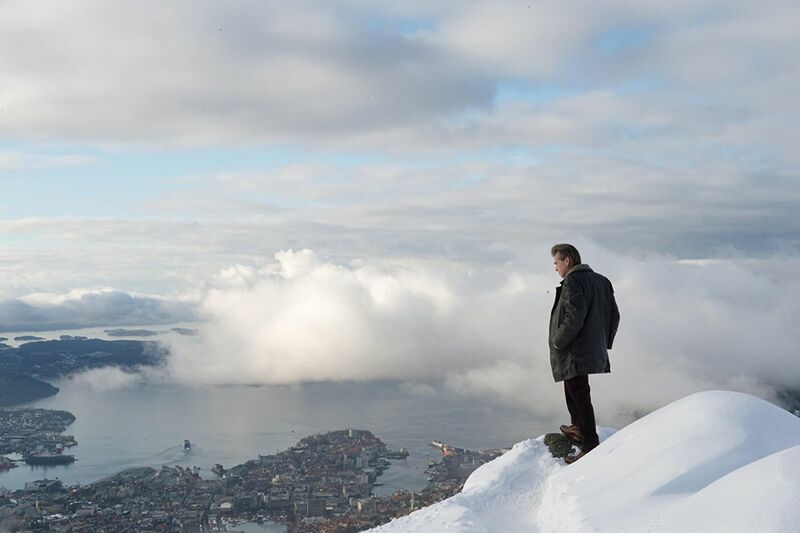 A local mogul (J.K. Simmons) is trying to secure Oslo’s bid for the Winter Sports World Cup. Meanwhile, when he’s not under the influence, Hole is trying to be a kind of father figure to Oleg (Michael Yates), the teenage son of his ex-girlfriend Rakel (Charlotte Gainsbourg), who is dating a hormone (?) doctor named Mathias (Jonas Karlsson) but still carrying a bit of a torch for Hole. Oleg’s real dad is out of the picture. Actually, almost everyone’s real dad is out of the picture. There are a tremendous number of pregnancies and children without readily identifiable fathers in The Snowman, a number that almost matches the number of snowmen. These many snowmen are the calling card of a serial killer who seems intent on killing people, mostly women, preferably through various sorts of dismemberment, though it seems like a gun will work in a pinch. The snowmen come in an array of permutations. Sometimes they’re just little stumpy two-ball snowmen, one fat one with a smaller one on top for a head and the traditional stick arms (no carrots or corncob pipes, though, because this is Serious). Sometimes it’s just the head of the snowman stuck onto the body of a human whose head has been mostly blown off with a shotgun. Sometimes it’s the body of a snowman with a human head on it. Once it’s just the imprint of a snowman on top of a car. Val Kilmer in The Snowman. There is at least one consistency: Save for the case of human-head-on-snow-body, coffee beans form the eyes and mouth for reasons that unfortunately become clearer as time wears on. The result is a snowman that is neither cheery nor menacing, but more of a vaguely emoji-inspired figure, and with each successive appearance the cartoonish snowman becomes funnier. Presumably the high number of children with bad and/or absentee dads is meant to furnish some kind of thematic throughline for The Snowman, but if you held a gun to my head and threatened to replace my head with a snowman’s I couldn’t tell you what it is, or why it is, or whether it’s meant to condemn or valorize a kind of toxic masculinity. Watching The Snowman keeps you so thoroughly occupied with trying to figure out why the movie itself exists that all other questions become irrelevant. 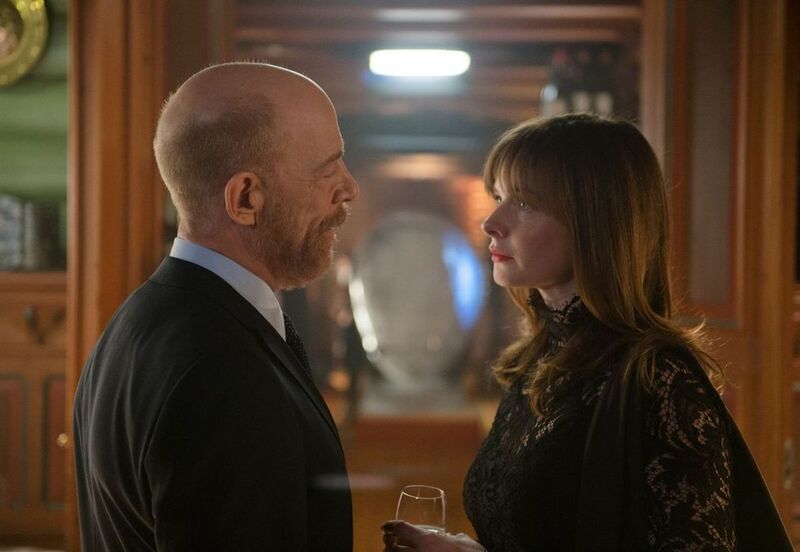 J.K. Simmons and Rebecca Ferguson in The Snowman. All the clues exist to what went wrong, of course, the most revealing from Alfredson himself, who has said in interviews that they didn’t shoot the whole screenplay, for some reason, and that “when we started cutting we discovered that a lot was missing.” No kidding. Legendary editor Thelma Schoonmaker was clearly brought in (possibly by her frequent collaborator and the movie’s executive producer, Martin Scorsese) to save the film, which appears in places to be pasted together out of scraps of other scenes. She probably did her best. It’s still a catastrophe. The Snowman does have the distinction of being so bad it’s almost worth watching, just to recalibrate your movie-viewing meter. So few movies of this, uh, caliber make it to the big screen that sometimes being reminded of what’s possible can be beneficial. It has a way of putting other, less terrible movies into a kind of perspective. Just don’t say I didn’t warn you. I gave you all the clues. The Snowman opens on October 19.